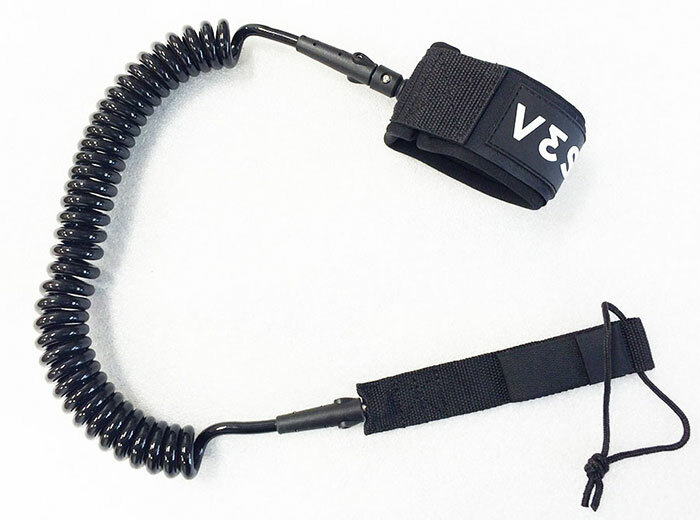 The VESL straight leash will work on any board and is a great way to keep you safely attached to your board. The coiled cord keeps it out of your way and out of the water while paddling flat or textured waters. Due to the coiled section this leash is not recommended for paddle surfing.